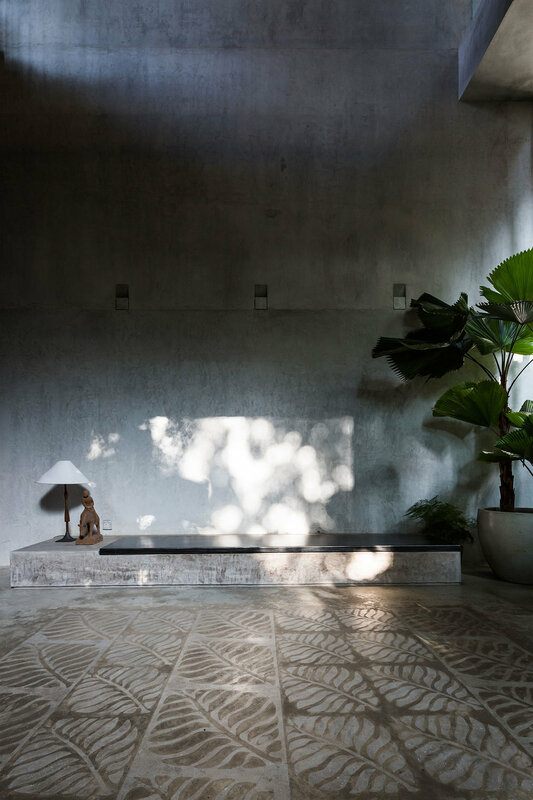 I am not usually a fan of so much concrete, but I think the balance here of the natural wood, natural light, and the plant life, real and reflective, give the space an identity that we as individuals can connect to. The geometrical lines not only elevate the space in terms of height and sensation but also anchor the home. I find that there is an incredible duality of forces at work here, which create a space that is both ethereal and rooted in the earth.